SINGAPORE, 26 February 2016 – Singapore Changi Airport started the year on a strong note, handling 4.86 million passenger movements in January 2016, a 10% year-on-year increase. Aircraft movements were 4.7% higher with 30,150 landings and takeoffs, while cargo shipments improved 4.0% to 158,000 tonnes, compared to the same period last year. Passenger traffic growth was boosted by air travel demand to North East Asia and South East Asia, which account for two-thirds of Changi Airport’s total traffic. During the month, traffic to and from all of Changi Airport’s top 10 country markets increased, with six markets – China, Hong Kong, Japan, Malaysia, Thailand and Vietnam – recording double-digit growth. Indonesia traffic rose 7.3%, the first increase since July 2015. As at 1 January 2016, more than 100 airlines operate at Changi Airport, connecting Singapore to some 320 cities in about 80 countries and territories worldwide. With more than 6,800 weekly scheduled flights, an aircraft takes off or lands at Changi roughly once every 90 seconds. 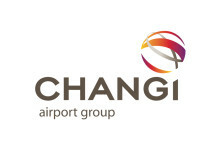 New Services – Changi Airport welcomed West Air to Singapore on 4 February, operating a thrice-weekly service between Singapore and Chongqing. In addition, Sichuan Airlines and Scoot have both launched daily services, to Chengdu and Guangzhou respectively. There are now 12 airlines operating direct services from Changi Airport to China, offering some 560 weekly flights between Singapore and 32 cities in China. New Stores – In the transit areas, luxury brands Tiffany & Co. and Saint Laurent have opened in Terminal 2, with Sony, Discover Singapore, and 7-11 commencing operations in Terminal 3. In the public areas, foodies can now savour Indian delights, including vegetarian fare, at Chutney Mary (Terminal 2), enjoy artisan yogurt from Milk & Honey or sweet treats from So Chocolate, both at Terminal 3. Singapore Changi Airport achieved a second month of double-digit growth in passenger movements in February 2016, with traffic rising 11.7% to 4.60 million. Aircraft movements were 7.7% higher with 28,520 landings and takeoffs, while cargo shipments were maintained at 135,900 tonnes, compared to the same period last year.